Michelle has extensive experience coaching a wide range of athletes, from Olympic athletes to the beginner. She has a passion for getting the best out of athletes while keeping the experience fun and rewarding. Whether you want to work with a power meter or just take a simpler approach, Michelle will set up a unique program that fits your goals. She coaches online and locally in Colorado Springs. PPAT is a training group she will run out of a new swimming/training facility opening Summer 2017. Michelle began coaching in 1997 as the Junior National Teams coach for USAT. During this time, she also personally coached many professional athletes, including the US men’s national champ, the Australian men’s national champ, and the Chilean women’s national champ. 10 of these athletes qualified for the Olympic Trials in 2000 and 2 of these athletes qualified for the 2000 Olympic team. In 2000 she was selected as the USA Olympic Triathlon Coach for the men's and women's team for the 2000 Olympic Games in Sydney. She was also named the US Olympic Committee National Triathlon Coach of the Year in 2000 and 2001. She then ran the USAT Resident and National teams out of the Olympic Training Center until 2003. She was named the USOC National Triathlon Coach of the Year in 2000 and 2001. Some of Michelle's athletic accomplishments include running 3 Ironmans (twice at Kona), bike racing for Team Saturn, competing for USA at the World Mountain Running Championships in Scotland, and winning the Empire State Building Run-Up. Upon occasion, Michelle still enjoys running, cycling and competing in triathlons. In 2014 she was ranked 2nd in the World for her age group for the half Ironman distance. 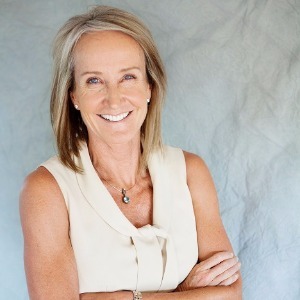 She retired from coaching in 2003 and began working in real estate, where she has established herself as one of the top agents nationally, consistently qualifying for national production awards. In 2016 she decided to go back to doing what she really loves - coaching. Success. Coach Michelle Blessing has been notified of your message.